Thursday, Sister Dieudonne Pierre Bélizaire, aka Sister Dona, Founder of the orphanage Sister Redeemer of Nazareth, located in Kenscoff 68 was acquitted of charges of kidnapping, child trafficking and criminal conspiracy in a criminal court without jury assistance to the Palace of Justice of Port-au-Prince and the tribunal ordered her release. 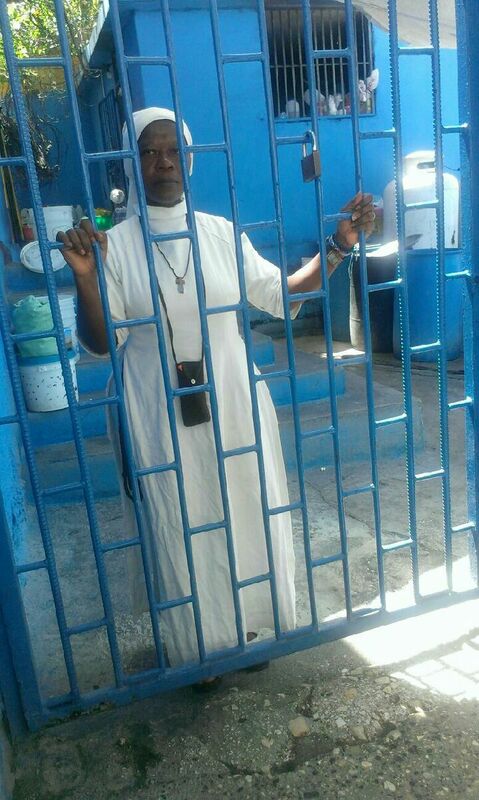 Recall that Sister Dona had been incarcerated at the Civil Prison of Petion-ville, June 21, 2012, in connection with the disappearance, Sunday, June 5, 2011, of Raphaël Chenet, a minor child, following a complaint filed by Alfred Chenet, the father of the child, who accused sister Dona of having sold his child. Note that at the time of the facts, Dona sister was not in Haiti. During 42 months, sister Dona has consistently claimed her innocence from her cell, while the justice arrested in this case the child kidnapper, a certain Djimmy Mémé, who had confessed according what we can read in the Registry of Kenscoff Peace Court dated July 18, 2011 http://www.haitilibre.com/article-6254-haiti-justice-coupable-libere-soeur-dona-belizaire-en-prison-lettre-ouverte.html (in french) "No person in the orphanage was involved, nor meadows nor far and that he was the author responsible for the kidnapping, with the complicity of Péguy Blanc, who had a concubine, a white bearing the name of Christine, a Canadian national who wanted to adopt Raphael Chenet and it is in this goal, that he kidnapped the child from the orphanage to hand it to Péguy Blanc, ho had offered him the sum of 2,000 US dollars at the entrance of Christine, information that the number of messages (SMS) confirm on the mobil phone of Djimmy." Djimmy Mémé, responsible for the kidnapping, despite his confession and evidence gathered by the Kenscoff Peace court in July 2011, was released by the Substitute Commissioner of the Government, Rodriguez for reasons still blur so far and it is Sister Dona who was arrested and thrown into prison.